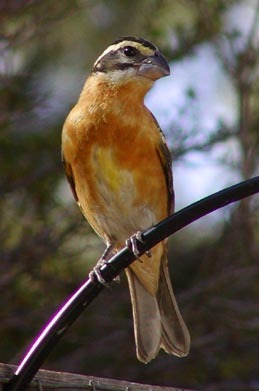 A frequent fall visitor to the sunflower feeders, the Black-Headed Grosbeaks crack sunflower shells with their thick bills then extract the seeds with their tongues. Other, smaller birds, like the Pine Siskins, will eat any pieces of the seeds that are broken and left uneaten by the Grosbeaks. 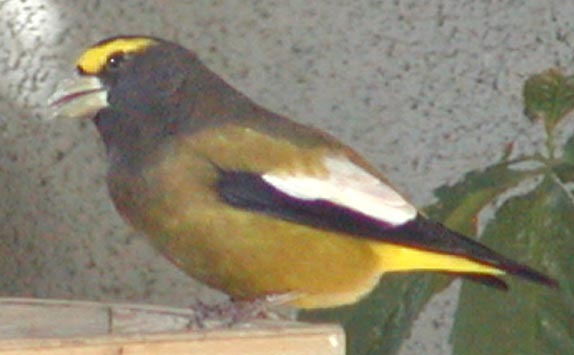 I see Evening Grosbeaks twice a year as they move through the area. 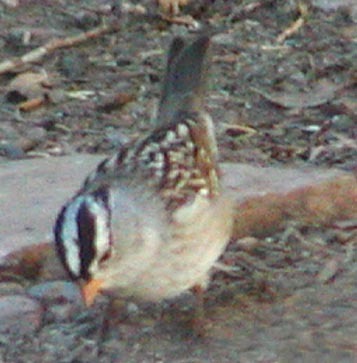 In the spring, the males sport bright, almost neon green, beaks, but by fall they are back to their paler yellow beaks. 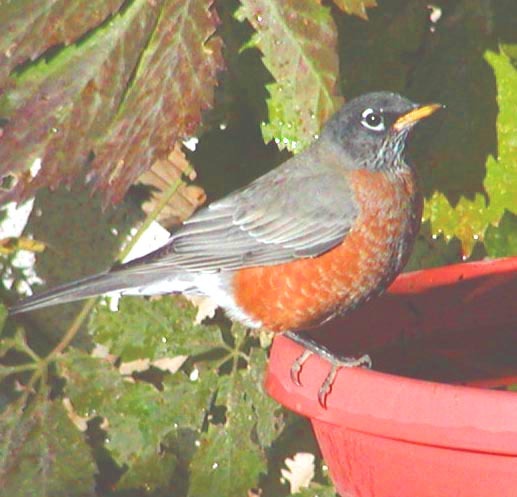 Always fun to watch, the robins come in year round for worms, nest mud, Virginia Creeper berries, Crab Apples, Russian Olives and as shown here, water to wash it all down. At first glance this looked like a pale version of a Robin, but the distinctive tale flicking warranted a closer look. 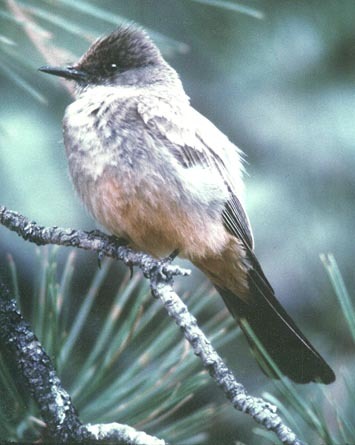 This flycatcher has the typical flycatcher ruffled head and specialized beak with feathers around the mouth to help funnel food in caught on the wing. 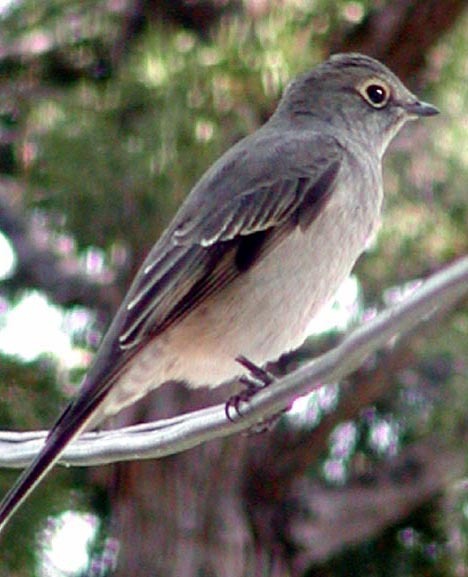 Another fruit lover, the Townsend's Solitaire comes in for crab apples, Virginia creeper and Juniper berries in the fall. Sometimes I have the best luck attracting new species into the yard by making sure the feeders are well stocked as fall approaches. Many birds are busy raising their young by moving around town showing them their winter food sources, so if I'm prepared when they stop by, frequently they'll keep coming back through the winter.